As the Mardi Gras season gets up to full speed, the quest for suitable liquid refreshment is always at hand. Have you gone through the rabbit hole and landed on the parade route? With Float Number Nine as your companion, all adventures are both possible and delightful. A satisfying thirst-quencher for Carnival and beyond! Build in the glass, in order listed, over ice. Squeeze grapefruit peel over drink and garnish with peel. 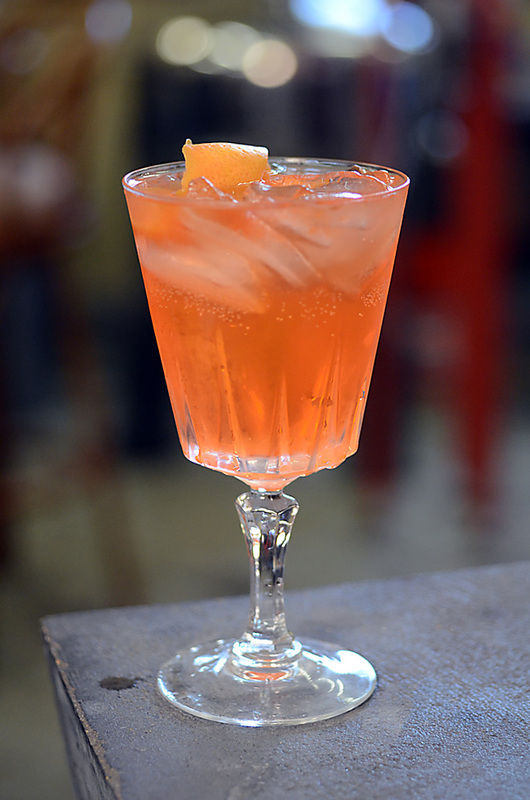 This entry was posted in Atelier Vie, Euphrosine Gin #9, Recipes. Bookmark the permalink.